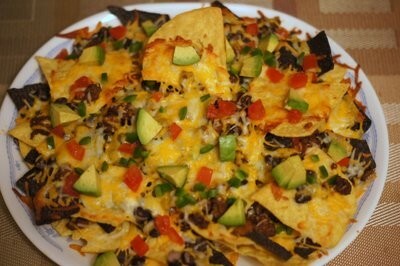 One of my family's favorite foods is tortilla chips, which we usually have with guacamole, salsa or use to make nachos. 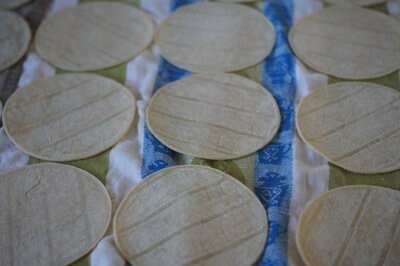 However, it's difficult to find good tortillas chips in the supermarket, so I usually make my own. 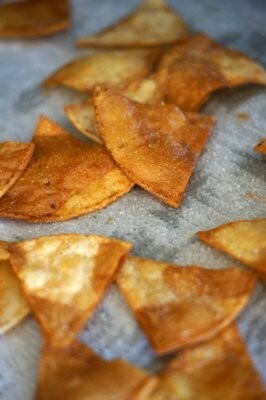 --- It's simple and easy to do and homemade chips taste so much better than store-bought. This step isn't critical, but if you have the time spread the tortillas you plan to use out on kitchen towels and allow them to rest for a couple hours. 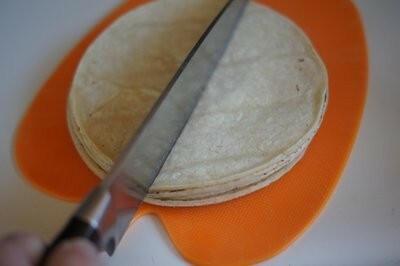 This will get rid of any moisture in the tortillas. 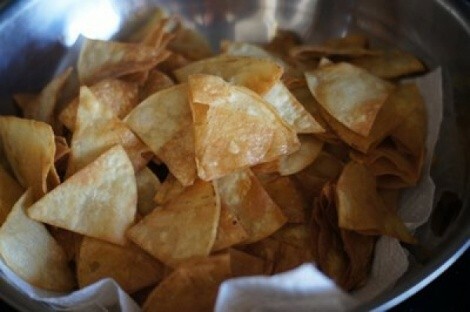 When you're ready to make the chips, heat the oil in a deep-fryer or saucepan to 365 degrees F.
While the oil is heating, stack a few of the tortillas and cut them into triangle. 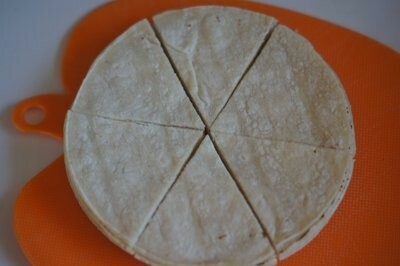 I usually cut each tortilla into six pieces. 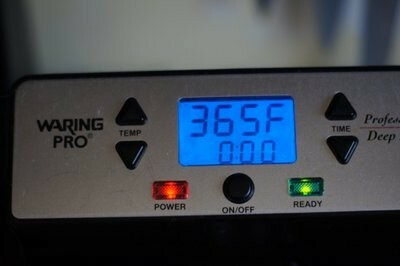 When the oil has reach 365 degrees, drop a handful of the tortillas into the hot oil. 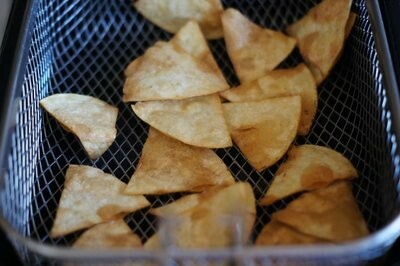 Fry the chips for about one minute, stirring once or twice, until the chips turn golden and are crisp. Be sure not to crowd the chips in the oil. 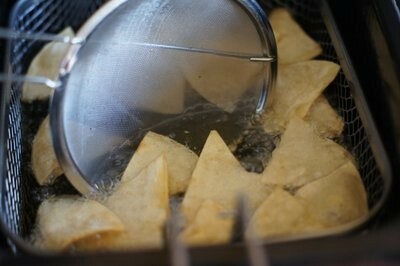 Remove the chips and place on paper towels to help soak up excess oil. 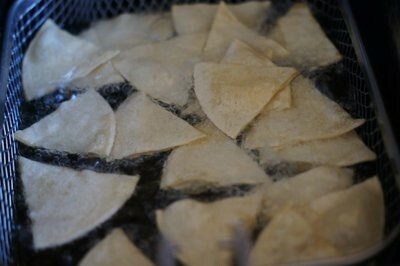 Lightly salt the cooked chips and repeat with the remainder of the tortillas. For my favorite guacamole recipe, click here.